The dehumidifier we got from you is still in good condition. We wish to do more work with your company. 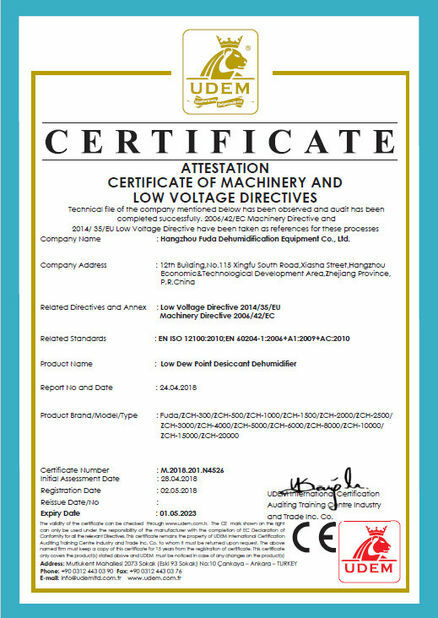 We are glad to inform you that the dehumidifier works well in our factory, I will introduce your product to my friends, thanks for your cooperation. I am the user, I know "Fuda Product" is good. 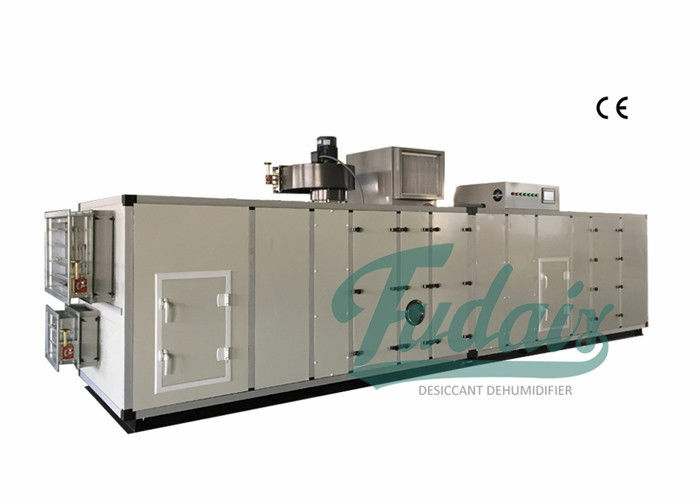 We will still use "Fuda Dehumidifier" in our new plant. 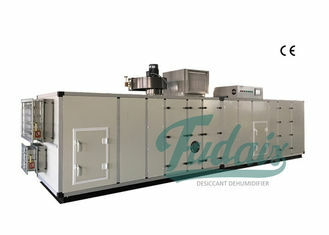 We have bought many units of desiccant dehumidifiers from FUDA, we like FUDA's product. We are good friends now. ZCB Series Industrial Air Dehumidifier System removes humidity using both refrigeration and a desiccant rotor, so it can both control the humidity and temperature of the air independently in one packaged unit. Outside air is drawn into the unit using the supply fan. The warm, moist outside air first passes through filters and then the cooling coil where it is cooled. The air then goes through the desiccant wheel where the air is dehumidified and the temperature is raised. At last the air is delivered directly to the space or into an existing air handler. 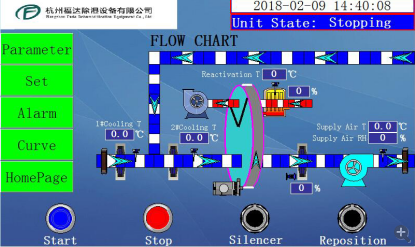 Exhaust air is used to provide energy recovery for the desiccant wheel and is drawn into the unit using the exhaust fan. The air filtered and then heated and humidified during the energy recovery process. The air is then heated while passing through the regeneration coil. The heated air removes the moisture that the desiccant wheel adsorbs from the process air stream. We can provide suitable equipment for dehumidification ccording to your requirements. Congratulations!! 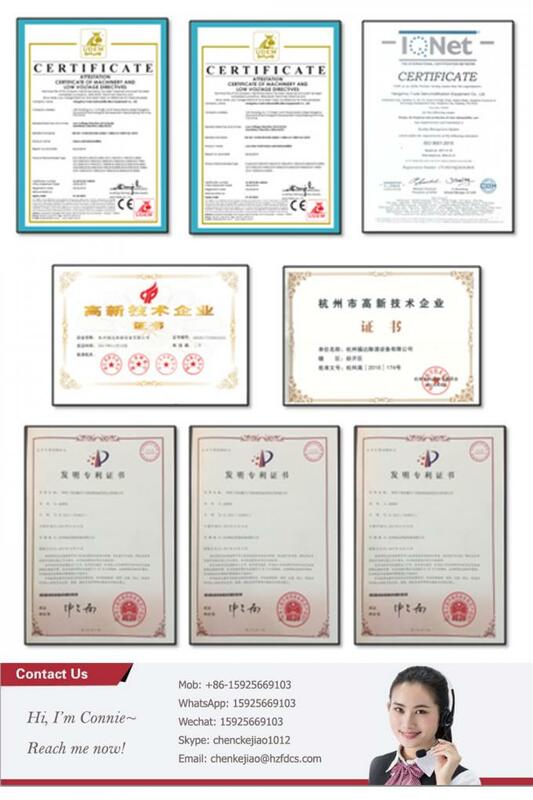 Hangzhou Fuda is called one of the best suppliers of Union Lithplus today. China Good Quality Industrial Desiccant Dehumidifier Supplier. 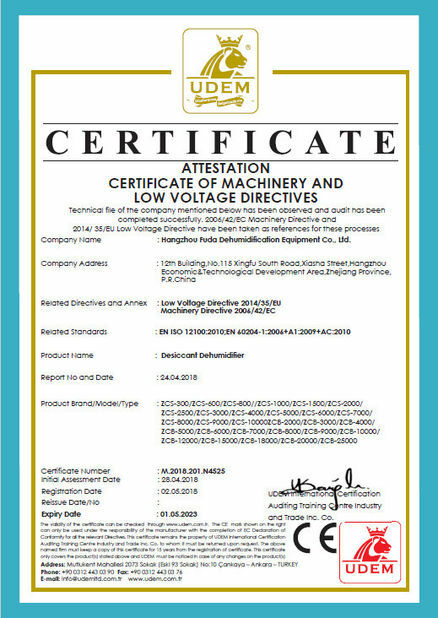 Copyright © 2014 - 2019 industrialdesiccantdehumidifier.com. All Rights Reserved.